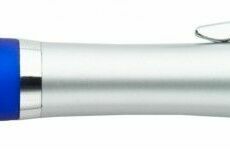 Personalised pens are our raison d'etre, it goes without saying, but even we have come to accept that from time to time a pen alone is not enough. 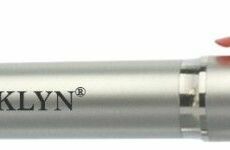 Fortunately the personalised pen is as versatile as it is practical, which makes it a fantastic promotional item to build a corporate gift set around. There are a wide range of promotional products available that can be branded and handed out alongside a pen as an individual component of a wider complimentary package, and it just so happens that we offer a selection of these promotional products right here at Pens Unlimited. How many times have you arrived at the Supermarket and realised that you have no pound coins for the trolleys? 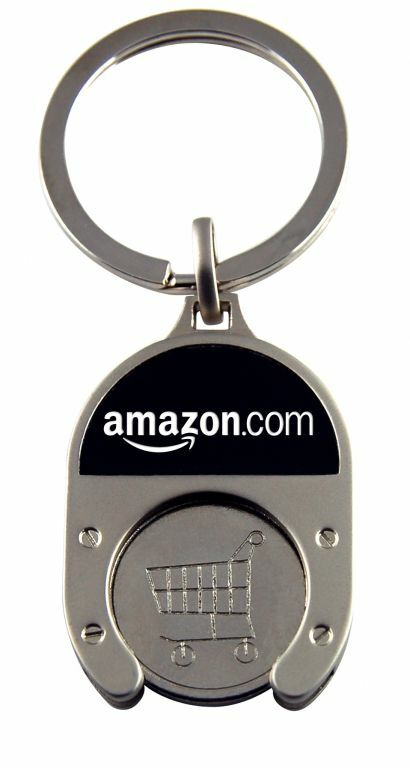 It used to happen to us all the time until we started carrying around one of these purpose built trolley coin keyrings. Complete with a broad branding space and almost certain to earn a place right next to the receivers car keys, the Trolley Keyring is a practical, modern gift item with an impressively long reach. 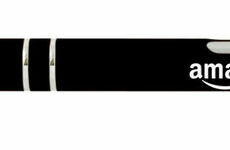 If there is one thing that you are likely to need almost as often as a pen, its a torch. We offer a small selection of personalised torches on our site, and each one boasts a wide printable area, a handy keyring attachment, and the ability to emit an especially bright light; making it a practical tool for the recipient as well as an effective marketing tool for a business. Arguably the most natural accompaniment to a promotional pen, our personalised notebooks have large customisable areas with which to play around with. Some of our notebooks also come with a few extras; including sticky post-it notes, protective pouches, and colourful memo-flags. Some of them even come with their own pen, which makes these notebooks a particularly cost-effective choice, as well as being an extremely handy extra in the eyes of the notebook's recipient. You only have to sit on a bus or train to see that almost everyone has a smartphone or tablet these days. It's clear that these gadgets are no passing trend and that they are likely here to stay, which is exactly why the popularity of the stylus pen is only ever going to rise from now on. 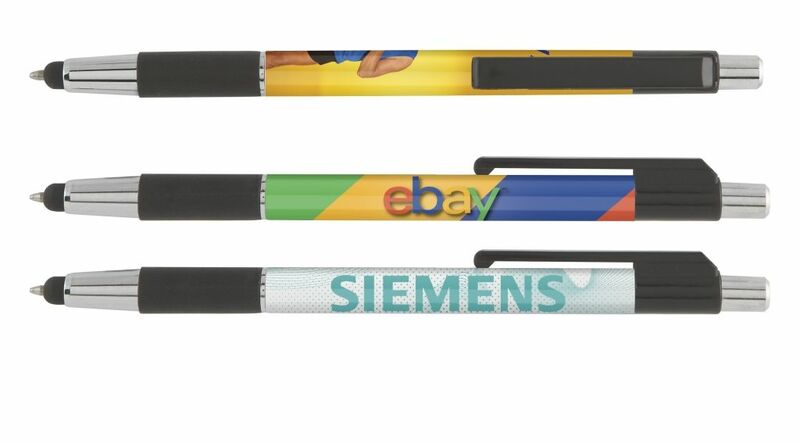 Offering roughly the same printable area as many of our personalised pens, each stylus has been designed to work effectively on smartphones and tablets without scratching or otherwise damaging their screen. Like the promotional pen, pocket knives have stood the test of time and have earned their place amongst the promotional product elite. 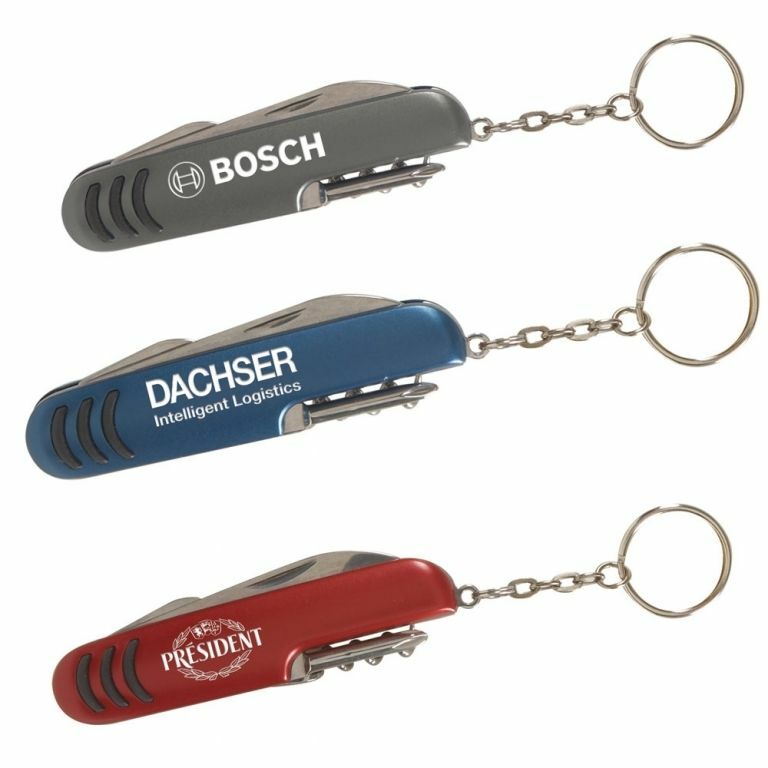 Comprised of 5 different – yet equally useful – features, this customisable multi-tool has a lot of promotional potential thanks to its large engravable area and the fact that it can be easily attached to the recipients keyring. 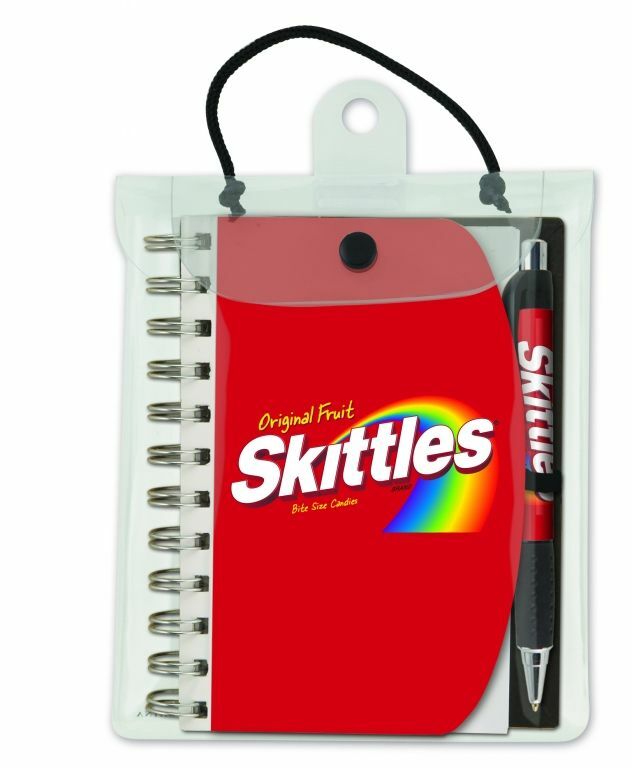 There are a lot of promotional products out there, and whilst not all are available on Pens Unlimited (yet!) we would definitely suggest having a look around to see what gift items you can find that would complement both your business and your personalised pens. Over the years we have seen personalised spirit level keyrings, customised hand-powered dynamo-torches, printed memo clip-holders; and, of course, branded gift bags with which to give out the gift items in (excellent for exhibitions). What can we say? When it comes to promotional gifts, you're spoiled for choice!